Most of us are uncomfortable when we see pests or rodents in or around our homes. The fact is these pests can have harmful consequences upon yours and your family’s health. Understanding the health risks from these types of infestations helps us to prevent them. It is unsettling to us when we share our homes with these pests because of the serious threats they pose. You don’t have to put up with pests any longer. Call The Bug Dude today for pest control in Fort Worth. In the following a more detailed overview of the health risks associated with some of the more common pests is discussed. The saliva, decomposing bodies and droppings of cockroaches contain proteins known to trigger allergies and to increase the severity of asthma symptoms. This is especially important for children, as one-in-five children in the U. S. exhibit severe allergies to cockroach proteins. Cockroaches can also carry 33 known types of bacteria, including E coli and salmonella on their bodies, which can contaminate food, cooking equipment and food surfaces. In addition, they carry six known parasitic worms and seven other human pathogens. Do not allow dirty dishes to remain in the sink overnight. Wash the dishes, and after drying or placing in the dishwasher, dry the sink out. Don’t leave food on a counter top. Store them in the refrigerator or in tightly closed containers. Take the garbage bag out often and vacuum routinely. Routinely check and clean the evaporation pan under the refrigerator or freezer. Seal cracks and openings around the outside of the home to prevent pest entry. Potential indoor entries are around plumbing, cables and other intrusions into the home. If you have an infestation, call for pest control in Fort Worth for treatment. The threat of rodents isn’t fully understood until you realize an estimated ten million plus persons have died in the past century from rodent – borne diseases. A pest control professional provides the expertise to provide the best protection of your health against a rodent infestation with pest control in Fort Worth. Not only are rodents vectors for disease, they are very destructive. Every year they damage homes, businesses, automobiles, UTVs and farm equipment every year. 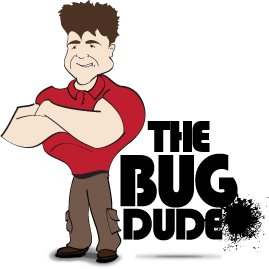 The Bug Dude can provide your home and grounds with the rodent extermination you need. As the prevalence of West Nile Virus continues to grow during the summer months, mosquitoes continue to be a major health threat. According to the Centers for Disease Control (CDC), since 2001 West Nile Virus infections have topped 30,000 resulting in 1,200 deaths across the United States. In addition, mosquitoes are vectors of disease in the U. S. of other diseases such as Encephalitis, Chikungunya Fever, Dengue fever, Malaria, Yellow Fever and Dog Heartworm. Emptying rain water from objects that may collect it. Keeping the lawn mowed and landscaping neatly trimmed to allow air circulation around plants. The use of professional pest control in Fort Worth will help to ensure mosquitoes don’t find your home an inviting habitat. Lyme disease is a major health risk to humans. Once primarily found in the Northeast and upper mid-western Western states of the U.S., there have been an increase of Lyme disease in the Southern states. It is critical to check yourself and family for ticks, especially if you are in or have been in, wooded areas. Considering Lyme disease can cause permanent disability or death, homeowners must ensure tick infestations are treated, and check children and pets after they have been outside. If you suspect a tick infestation, The Bug Dude can provide effective treatment for ticks to your home and grounds with pest control in Fort Worth. Stinging insects are the cause for more than 500,000 people to go to the emergency room each year in the U. S. A pest control professional provides the knowledge and expertise to rid your home and property of stinging insects and prevent further infestations. While some ants’ sting and can threaten the safety of small children and infants, all ants have the potential to contaminate food. Ants can be difficult to get rid of by homeowners, if your efforts seem to be failing, give us a call for effective ant extermination from a qualified professional for pest control in Fort Worth. Fleas will feed on the blood of any warm-blooded mammal, including humans. Fleas can cause itchy bites and severe allergic reactions in some people. If you have a flea infestation in your home contact a professional for pest control in Fort Worth to rid your home of dangerous fleas. Fleas can transmit bacterial diseases such as Typhus, Bubonic plague, Yersinia and other deadly disease. They can transmit viral disease, tape worms, and protozoan diseases. The Bug Dude will provide the pest control in Fort Worth that you require to rid your home and property of the pests that are both annoying and have the potential to transmit disease to you and your family. Thanks for visiting The Bug Dude.